The moment you walk through the doors, you will realize Anchor is more than just a gym. We are a community. We enjoy each other’s company and you will find events throughout the year help our members and their families connect. We host specialty workshops to help advance our client’s skills, pour into our community with outreach and service, and much more! Make sure you follow our Anchor Fitness Facebook page for up to date announcements! Giving back to the community is what owners Leah and Joseph hold close to their hearts. You will find volunteer opportunities, disaster outreach, and sponsorship opportunities readily available. This year, Anchor Fitness became an official drop off donation center for Empower Youth and Weightless Anchor. The Anchor Fitness community conquers challenges in and outside of the gym. 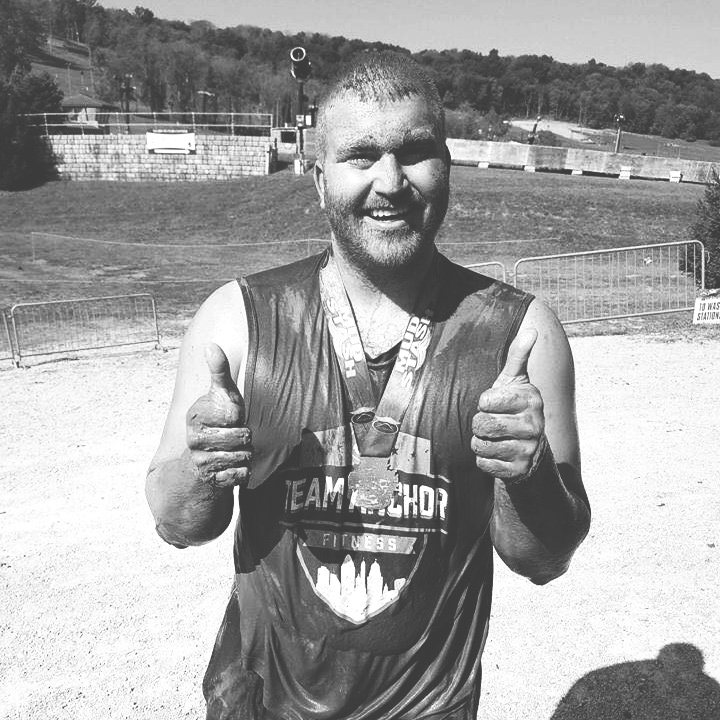 We have tackled numerous Tough Mudder’s, Spartan Races, Warrior Dashes and more! Anchor Fitness is an official sponsor for the Beast of the East and The East Side Challenge. Looking to tackle a 5k, 10k, or marathon, our community trains and conquers these together! If you have a race on your bucket list you are trying to complete, we can assure you- you will have an Anchor family member who wants to join you! Looking for a fun, new space to host a birthday party, team building retreat, or event! Anchor Fitness has 22,000 sq ft available for your use! Our events are engaging, memorable and easy to coordinate. What would a community be without a little fun! Anchor loves to celebrate and socialize together with family outings, Anchorversary celebrations, volunteer outreach and more!